Drone shows can be fun to watch, much like fireworks displays. Intel has been flying an army of hundreds of drones that move in a coordinated fashion, creating an effect that looks like a mid-air ballet. The company has created one-off drone shows but is now taking that showcase to the next level. Intel is putting 300 drones in the sky for months, and they will be part of the Starbright Holidays aerial light show that will run during the holiday season at Walt Disney World Resort in Orlando, Florida. The drones will have LEDs that can create more than 4 billion color combinations, and the show will create animations in the night sky. That's right up Disney's alley. For Disney World, it'll be another attraction, much like the fireworks show it hosts every day. In one-off shows, Intel has flown up to 500 drones simultaneously, a Guinness World Record. Running a show for months is a whole new challenge, and it'll need to be well-coordinated so drones don't come crashing down. There's no limit to the number of drones that Intel can fly in a coordinated fashion, said Josh Walden, senior vice president and general manager of Intel’s New Technologies Group. 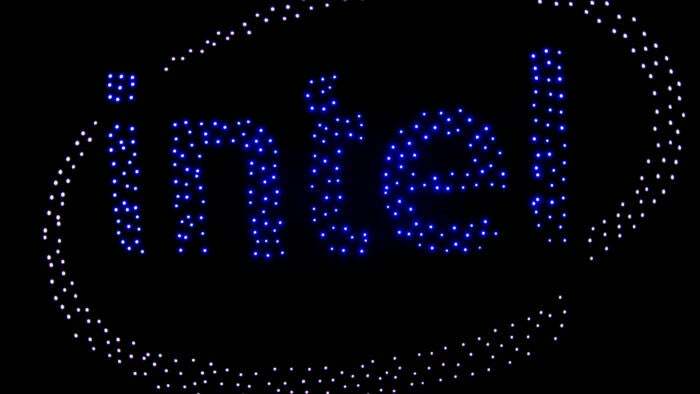 The drones flying will be Intel's homegrown Shooting Star, which was also used in the 500-drone display. Intel isn't selling the drone it's using, though it offers other drones like the Falcon 8+. It will also sell drones from recently acquired MaVinci. Building the 300-drone air show involved packaging unmanned aerial vehicles with a flight sequence and path. The drones fly at a speed of 10 meters per second and will communicate with controller PCs on the ground. The drones don't communicate with each other. Algorithms automate the animation process. They track a drone's flight path and draw the animation in mid-air. Intel developed the Shooting Star drone and supporting software for light shows, Walden said. Entertainment is one industry where drones can be used, but there are also applications in areas like product inspection and search and rescue. There are opportunities for using drones like Shooting Star for commercial purposes, Walden said. Intel is providing the drones, underlying software, and additional hardware like a RealSense 3D camera -- which can help identify objects and prevent collisions -- so companies can build related hardware. It has made many acquisitions to build its drone portfolio so far, a key acquisition being Movidius, which provides chips and software for computer vision. The chipmaker also offers the US$399 Aero Compute Board, allowing enthusiasts to build drones from scratch. The company next month will ship the Aero Ready to Fly Drone kit, an all-inclusive kit that includes the Aero Compute Board and parts like rotors needed to build drones.